Here are some things you need to know to organize dance and music events or groups on a college campus. These materials are focused on the logistics of working on a college campus. You'll probably also want to look at information about specific styles of dance and music (Contra Dance, English Country Dance, Square Dance, Folk Song). You can view the handbook as web text using the headings below. Alternatively, you can view, download, and print the handbook as a PDF. Here are a few general ideas and recommendations from folks who have done this to get you started. "Becoming a group is a helpful and easy step that then allows you to rent spaces, request money, and just be recognized by people around campus." "We started in a dorm lounge, with a bunch of musicians, playing a lot of common tunes, one-tune sets with lots of energy. We definitely put up a lot of posters and got all our friends to come, and our first dance hit 40 people about, I think." Consider starting with just one event to test the waters. Once you know it will work, establish a regular schedule as soon as possible so people will know when to look for your events. This also helps to increase credibilty and recognition. When getting started, seek support from existing local dance communities if there are any. Experienced dancers from elsewhere can help provide an intial critical mass. Frequently, these dancers are excited to help support a new college dance. Spread out responsibility for organizing among a group of people. This will help to avoid burnout and anyone being too overwhelmed when all their papers are due at the same time. "Juniors going abroad is a great excuse to make younger members step up and take initiative." Create a manual about how to run your group or event, (like this draft from Wesleyan (word.doc). Provide all the information you have gleaned as an organizer to younger students who will take over things once you graduate. Make it very specific to your campus - who to contact to rent the hall, how to book a sound system, what sort of publicity strategies work for you, etc. Cultivate a relationship with local off-campus groups, performers, and organizers. You can learn a lot from them, and they can probably learn from you. Many non-college dance and music groups are anxious to get more young people involved, and they'll be thrilled if you bring a group of students to their events. For help finding a group look under "How to find a caller/band" in this page. Information about how to put together a compelling, exciting event that is appropriate to your audience and context. As an organizer (or a group of organizers), it is your responsibility to have a vision for what your event or group will be. Is it open to people from off campus, or a campus-only scene? Is it aimed at experienced dancers or beginners or everyone? Is skill development a focus of your group or its events? What experience do you want newcomers and rank beginners to have at your events? What about more experienced folks? Plan your program accordingly and communicate this vision to your performers and your participants. Be aware of the strengths and weaknesses of the people who are performing for or leading your event, and schedule them in situations and combinations where they can shine. If a violinist friend is playing fiddle tunes for the first time, pair them with a solid piano player who already knows the style. If a student is trying out calling for the first time, give them a really confident band to work with. If you are trying to attract beginners and folks who have never tried your activity before, schedule awesome, experienced bands and charismatic teachers/callers/leaders, especially towards the beginning of the year. People respond to confidence, charisma and excitement on stage, and first impressions matter. If your event attracts a large number of beginners, encourage your callers/leaders to plan programs that are accessible and exciting. It's better to do very simple dances (even ones that experienced dancers find dorky) smoothly and with minimal teaching than to spend half an hour learning a complex figure. At the same time, encourage leaders to plan a "teaching arc" through the event, building on skills learned early on in order to get to more complex things as the evening progresses. Be aware of the needs and insecurities of your audience. Plan styles and figures that are likely to seem cool and allow your audience to get over their initial hang-ups about dancing. There are lots of ways to get the word out about your event or group. Here are some ideas. The most important thing is to know your campus and concentrate the most effort on the things that students pay attention to most. Word of mouth is the best publicity. Tell your friends, and get them to tell theirs. Peer pressure works. Have some musicians play on the green the afternoon before a dance when the weather is good. Pass out flyers for the dance and tell people, "Live music tonight at the contra dance!" Julia Nickles found that "after years of trial and error, this was the wording that got the most positive response" at Brown. Be persistent when telling people about the event and talk to as many people as possible. Casting a wide net will yield the most results. Target students at activities fairs, admitted student weekend, or orientation. Have dance demos with live music. Discuss with others in your group the merits of advertising off campus - there may be a local dance/music community interested to attend your events. Some college groups really like the mix of ages that community participation can provide. Others decide not to do this in order to minimize the possibility that new college-age dancers might end up in a situation that makes them uncomfortable. It's worth thinking about what will work best for your group. Use whatever publications (print or electronic) your college has available - student newspaper, student activities listing, web calendars, email lists, etc.Use whatever publications (print or electronic) your college has available - student newspaper, student activities listing, web calendars, email lists, etc. Get PE Credit! This is a fantastic way to entice people to come dancing regularly. Understand your campus culture. Think about what terminology will go over well in your community, and what won't. Put up posters. Here are some poster samples from other college groups. Many college groups struggle with justifying themselves to the folks in charge of renting space, doling out money, using vans, or whatever. Cultivating a good relationship with different parts of the Administration is important to the long term strength of your group or event. Of course every college administration is arranged differently, but here are a few general tips. Cultivate personal contacts. Learn who is responsible for what within the college administration and get to know them. Invite them to come to your events. Even if they don't ever come they'll appreciate the invitation and your interest. Be firm. Schedule meetings with the people in charge of scheduling, building spaces, funding, etc., and come prepared to advocate for your group and not back down. What you are doing is a unique service to the community. If you have trouble with some part of the administration, here is some advice. (The Swarthmore Folk Dance Club had trouble with administrators threatening to restrict their use of college space because of alleged damage to the floor. The club went to great lengths to show that they were not the people responsible for the damage). Look for allies in the faculty and staff. Are there avid dancers/musicians in the faculty or staff? Ethnomusicologists who have experience in folk traditions? History Profs interested in Jane Austen era culture? You never know who might prove interested. Make contacts in the broader dance community. Colleges like to be good neighbors, and showing that you have people from the outside community participating can make your event more appealing. Help them to understand that the activities you are promoting have a long history and broad appeal in the world at large. Emphasize that everyone is invited. "At Brown, the only time that I use the word 'folk' to describe contra dance is to talk to the administration. I would also mention the fact that dances usually end at an earlier hour than most other college events. Since the dance at Brown welcomes dancers from the community, this is another angle to which the administration responded well. The university that community members experienced a contra dance was one that the administration was happy to present. The contra dance there has a particularly low rate of experiencing any trouble, and now the adminstration has begun to respond to our excellent record and to trust us." "We generally use the 'social dancing to live music' route. Live music really gets folks excited since it's much less present in our broader society. Administrators might also like the whole 'This is what people used to do for fun in New England (as true or not true as that might be!)' and the 'It's healthy, fun, and everyone's invited!' Definitely invite everyone you talk to about it, a personal invitation and a 'hope to see you there' goes a long way even if your bureaucrats and professors don't end up showing up, they'll feel welcomed and included and people like that rarely get invited to student events. Similar stuff works for convincing the student budget committee. It also helps to appear self-sufficient and well-put together (I guess for anyone you'd talk to). If you've got the sound and the space under control, people are more likely to respect your group and give you money." It is likely that there are musicians and callers in your local community who would be excited to support your event. Here are some ideas for how to find them. Search online for something like "[your town] Contra dance" or "[your state] English dance" and you'll probably find a fairly local dance group that runs regular events. They exist in every state. If you don't find them in a search engine, look at Ted Crane's Dance Database, or the Dance Gypsy, both of which have searchable lists of events, groups and performers. Get in touch with the organizers of your local group and ask them if they know of musicians and callers who might be interested to help support a new event. Emphasize that you want people who are charismatic, fun, and good with beginners. If you know musicians, callers, or organizers in other parts of the country, ask for their suggestions about people you should contact locally. The traditional dance and music scene is very well connected all over the country and in Canada. If none of this works, get in touch with CDSS and we can help refer you to someone near you (a CDSS member or affiliate organization) who can probably help. Once you have identified performers you want to hire, contact them and ask if they are interested to play or call for your event. Take a look at this general information on band/caller relations. If you expect to be able to pay performers, let them know. If you don't plan to or don't know what the pay will be as you start out, explain that and ask if the performers are willing to donate their services in support of getting more beginners and young folks involved in traditional dance and music. Here are some guidelines for organizers about how to hire bands and callers for your event. With clear communication and an understanding of performers' and organizers' perspectives, booking can be a straightforward process which lays the groundwork for a successful event. On the other hand, poor communication and divergent expectations can leave a bitter taste in everyone's mouth. To put it another way, performers who feel respected, appreciated, and at ease will do a better job playing, calling, or leading your event, which makes everyone happier. When you are looking to hire someone to play, call, or teach for your event, first you need to identify who you'd like to ask. Information about finding callers and musicians in your area is available in the dropdown on the Organizers Resources page, and suggestions about matching performer talents to your needs are below. Assemble a list of performers who fit your needs and then call or email them to get the ball rolling. In your initial contact introduce yourself, explain your role in your group, include a basic description of your event or group and what you are asking performers to do, list the date(s) and times of the event(s) in question, and provide some information about financial arrangements. The rest of this page describes in more detail how to sort all this stuff out. Broadcast: Email all the performers you know with the available date(s), find out who is available when, and then piece it all together. This works best for a series, such as a weekly dance, where different combinations of people play together each week. It creates a lot of work for the organizer to put everything together, and assumes that 1) anyone in your performer group is pretty much happy working with anyone else, and 2) the organizer knows a good deal about each performer's strengths, weaknesses, and preferences. I don't recommend this approach for a single event, because only one of the many people you contact is actually going to get the gig, and the others will feel like you offered it to them and then took it away. Go down the list: Identify your top choices for performers, and ask them one at a time if they are available and willing to do the gig for what you are paying. Sub-contract: Ask one performer to put together a combination for a given event. Tell them the budget they have to work with and any other pertinent info, and give them the freedom to assemble a group they will enjoy. For most situations option 2 or 3 is best. These methods make performers feel like you are excited about their specific skills and artistic vision, rather than simply looking for whoever can get the job done cheapest or whoever responds first. Whatever your approach, make clear in your intial contact whether you are approaching several bands to find out about availability or talking with one band at a time. Make clear whether you are definitely offering the gig, or just getting information about availability and cost. It's frustrating to think you're being offered a gig (and turning down other work for that same date) and then finding out someone else was hired. For a dance event, give some consideration to whether bands and callers match in order to allow both to do their best. Don't pair a caller who always does singing squares with a band that's never heard of them; don't pair an old time band with a caller who does a lot of New England Chestnuts; don't pair a caller who does a lot of southern squares with a band that only plays only northern tunes. If you have a caller or band already booked, solicit their input about their favorite people to work with. If your event is run by committee designate one person to be in contact with the performers, and if possible empower that person to make decisions about pay ranges and hiring. Before you make contact with performers discuss as a committee what you are planning to pay, whether you can pay more if performers ask for it, what performers you want to hire, etc. It is awfully confusing to deal with several different people from an event, or to have one person who really wants your band contact you before being authorized to do so by the group. Performers usually don't want to be involved in internal Committee politics. However you do it, don't take too long. If performers are holding dates for you it may cost them other potential work, or if they accept other engagements they may no longer be available by the time you figure everything out. With option 1, performers can say "yes" and you're all set; they can say "no" and you can try someone else; or they can say "that's not enough, how about $X?" and you can negotiate from there. If you go with option 2, be clear whether you are considering other bands, and, if so, whether price is an issue in your decision. I don't enjoy being put in this position, but if you are asking performers to bid against each other tell them that up front. Then they can respond accordingly. If your offer is really all you can afford, that gives the performer the opportunity to accept or decline. If you can be flexible, work with the performer to find a fee that everyone feels happy with. It is in everyone's best interest to arrive at a price that makes the performer feel appreciated and adequately compensated, while staying within the budget for the event and making the organizers feel like they are getting a good deal for their money. Some performers have a set fee for a certain kind of event, and in that case the negotiation can be cut and dried. Either you can offer that or you can't. Others don't have a set fee for events, and the decision about whether to accept the gig for a certain amount of pay includes issues like: will we sell a lot of CDs? how easy/difficult is it to get there? will the event provide exposure for us in a new area, or an area where we are likely to get other gigs in the future? is there the potential for a bonus in the event of good attendance? can we plan some other gigs on the same trip to make more money? how fun will the event be? does it look really good on our resume? Keep in mind that performers will be thinking in terms of pay per person, rather than the overall cost for the entire group. If you are an event with a smaller budget, look for two- or three-piece combos, or ask if a larger band can appear in a scaled down version. This means performers benefit from large attendance, and share the risk of a small attendance. Fixed Pay: The pay is the same per performer regardless of attendance and is set ahead of time. This is common for special events like parties or weddings, events at schools, and some dance series. It makes the finances predictable, and puts the risk of small attendance entirely on the organizers. It doesn't allow performers to benefit if they draw a large crowd. Something complicated: If your event has a lot of overhead that is not connected to a specific event (insurance costs, publicity, sound system purchase, etc. ), if you keep a reserve of funds that you contribute to or draw from depending on the attendance on a given night, or if you have other financial issues to account for, your payment formula might get much more complicated. See below for a sample formula. Guarantee: Most events offer a minimum guaranteed pay per person for performers. This respects the fact that performers do the same amount of work regardless of how many people show up. This is especially important if the performers are traveling a long way. Make sure if you offer a guarantee that you know where the money is coming from in the event of a very small attendance - either you have a reserve of funds to cover it, or the organizer(s) will have to foot the bill. Travel: Some one night events offer additional travel compensation as a flat rate per vehicle or based on distance traveled. Equal or unequal shares: Most events offer equal shares to all performers. Some events pay callers a bit more if the band is large (five or more people). Very rarely there are other arrangements about unequal shares. Communicate! Whatever your arrangement, be very clear ahead of time about how the proceeds will be split. When you contact performers, let them know 1) your guarantee, if any, and 2) your average share for recent dances. This gives them information both about the minimum they can expect and a more likely scenario given average attendance. If you have a cap on performer pay, if you take a substantial cut for the organizers or for the rainy day fund, if you allocate pay unequally, or have any other unusual arrangement, be very clear about that in your communication with performers. You don't need to have a contract, but if you choose to write one for your event make sure all of this information is clearly stated. "Effective April 27, 2007, admission fees go up to $9. For bands with 4 members or fewer, the caller and musicians equally split $3.69 per paid admission and are guaranteed a minimum of $100 each. When the band has 5 or more members, the caller receives 1/5 of $3.69 per paid admission and is guaranteed a minimum of $100; the band members split the remaining 4/5 of $3.69 per paid admission and the band as a whole is guaranteed a minimum of $400. Lately our dances have been averaging about 200-250 dancers." In this scenario, the organizing committee takes $5.31 per paid admission, which covers their costs for rent, sound, publicity, etc. and pays the remainder as equal shares to the performers, unless the band is large, in which case the caller gets a little extra. If you are unsure about what arrangements are common in your area, ask performers and organizers what they commonly expect. Ask to see samples of contracts from other events, and then decide what will work best for you. As a guideline, think about $500 or more per person plus full travel reimbursement (airfare, mileage to and from the airport, parking, and pickup/drop off on your end) for top performers for a dance weekend. If you are not paying everyone the same amount for a similar amount of work at an event, have a good reason for doing so (famous out of town band vs. up-and-coming local band), and be up front about it. No one likes to find out later that they are making a lot less money for equal work. You can also have different gradations of staff positions for people doing more or less work, or people with less experience or name recognition. Some options include full-staff (full pay), half-staff (less pay), or scholarship (free or reduced admission). Consider including a profit sharing clause in the contract which stipulates if/when you might pay performers a bonus. If your event fills up and you have a surplus of funds, it's nice to share that with performers. Some weekends or festivals encourage performers to seek other gigs in the area during the same trip, and others forbid this in their contracts. Performers may consider the possibility of other income during the same trip when deciding about the gig. If you have a preference one way or the other, state this up front. If you discourage other work in the area, make sure you are paying enough that the weekend itself is worth it. If you offer other forms of compensation (a discounted rate for performer's spouse/guest/significant other, daily massages, free beer, whatever) let the performers know about it in your negotiations and include that in your contract. A band doesn't need to have a name in order to be good. Having a name doesn't guarantee that a band is good. In many areas, dance musicians work freelance a lot of the time, getting together in various combinations and making awesome, spontaneous music. If they had to invent a name for each of these combinations, they'd go crazy. It works just as well to publicize the names of the individual musicians. Please don't require that musicians invent band names just for your event. If you want a band with a name, hire one. Hiring the right performers is one of the tools at your disposal to help make your vision a reality. Make sure that you identify performers with appropriate skills to do the things that are important to you, and with an artistic approach that matches your ideas for the event. For example, if welcoming beginners is important to you, make sure you hire callers or teachers who are sensitive to that and willing to adjust their programming accordingly. It is important to communicate your vision for an event to performers early on, preferably in your initial contact. Describe your goals and tastes, and ask if performers will feel good about being involved. Then you can collaborate to plan an event that will both highlight performers talents and fulfill your goals. Communicating with performers about sound system needs and sound procedures is an important part of a successful event. Read more in the Doing Sound dropdown on the Organizers Resources page. Many thanks to Ethan Hazzard-Watkins, who originally put this page together. It's been edited here and there, but all the good parts are his work collecting information from people who are successful at putting together great events. Having student performers strengthens your group in a variety of ways. It gives you more flexibility with budget and scheduling, it broadens the ways that people can participate in the group, and it gives other students more incentive to come to events to see their friends play. Here are a few tips about how to get develop a group of student performers. Give students a chance to perform at your events. Give students a chance to see professionals at work: sponsor trips to off-campus events or festivals; feature a mix of student performers and off campus performers in your schedule throughout the course of the year. When you have off-campus performers, ask them to come early and run a workshop for students, or stay afterwards and jam. Schedule special workshops for callers or musicians to learn from an experienced teacher. Apply for grants from CDSS if your group budget can't support this. There are a lot of great materials that can help beginning musicians or callers learn skills. Tune books, books about calling, books of dance repertoire, recordings, etc. College groups receive a 30% discount from the CDSS catalog; purchase a set of useful books as a reference for anyone in the club to use. Set up a music-department recognized ensemble performing traditional music (such as Flying Fingers at Macalester College - does anyone else have a group like this?). Encourage music students to join you and learn a bit about traditional styles. Encourage student performers to attend off-campus workshops/Camps. Send them to CDSS musicians and callers courses and summer camp weeks. CDSS has extensive scholarships available for young people to make camps very affordable. Play in public places on campus. You never know how many musicians might appear out of the woodwork and ask to join in. This also gives your group more visibility, and can help you advertise events. Live music is awesome. But if you are eager to get started dancing and you don't (yet) have a group of musicians to call on, you can use recorded music. Here are a few ideas. If you don't have musicians available locally, if the musicians you do have are inexperienced, or if you are dancing an unusual style or a dance that requires a very particular tune, using recorded music can be useful. Using recorded music can be handy for a class or teaching session, so you don't have to try to rope the musicians into being there and sitting around a lot during the teaching. For suggested recordings to get you started take a look at the Starter Kits for specific dance styles. 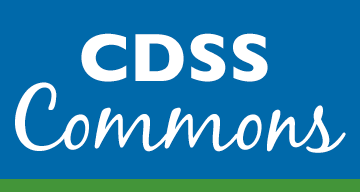 The CDSS catalog contains most of the titles you might need, and you can always ask a real person at CDSS or contact dance teachers or callers in your area for more advice. Recorded music may be helpful to get your group off the ground, but we strongly encourage you to make developing talented local musicians a part of the mission of your group. Live musicians and audiences can interact, play off each other's energy and expression, and make the dance more exciting for everyone. Live music can be an important marketing tool, since it is so rare in many other forms of dance and social life. Live musicians often encourage their friends to attend, they make the dance seem more cool and vibrant, and they often become valuable organizers and chip in with logistical work. Here are tips for encouraging student performers in a college setting and here are some ideas about how to find performers off-campus in your local community. Putting on a special event during orientation or for admitted students weekend can be a great way to give your group more visibility. Here are a few ideas. Contact your admissions office to ask about events during admitted students weekends, or contact your student activities office to ask about orientation events. Explain that you are a college club and tell them what kind of events you put on throughout the year. Offer to set up a social event with live music for first-years or admitted students. Invite them to come to one of your regular events if they are skeptical. See what happens. This can be a good way for college groups to recruit new students, or for off-campus community groups to advertise their events to students. It can also be a great way for a college group to collaborate with community groups. Consider pooling your resources to hire a really great band and excellent caller; you want people who have never seen this type of music or dance to be blown away by how fun it is. You can also do an impromptu demonstration dance early on in the year, during an activity fair, or just on the lawn before dinner. Anything with live music and people swinging a lot is sure to look like fun. Being able to offer credit for traditional dance or music activities can be a great way to entice people to try it out, especially if it helps to fulfill some sort of requirement (such as PE). This can be a difficult process depending on the bureaucracy involved, the way your campus is set up, and who you have as allies in different parts of the college. Here are a few ideas. A course needs to be more than just dancing for fun; you'll need to articulate learning goals, skills to be developed, and methods of evaluation. If you know a professor who is really into what you do, consider proposing a mini-course in their department, such as a traditional music ensemble in the music department, or a music and dance history of the Jane Austen era in History. The "Dancing on College Campuses" by Joanna Reiner and Jenny Beer includes a discussion of for-credit classes at Swarthmore. What's a Performer? What's an Organizer? Performer: We use the word performer in these pages to refer to anyone providing music, teaching, calling or instruction for a dance, music or singing event. If your group runs contra dances, musicians and callers are all performers. If your group holds jam sessions or song swaps then all participants might be considered performers, but the people facilitating the group (teaching tunes, calling songs, etc.) do have a special leadership role. The word "performer" is meant to identify people who provide public leadership that has an artistic or musical component. Organizer: Someone who provides logistical leadership for a group or event. The person who does the leg work to make sure a group can exist or an event can take place. While not necessarily a public presence, organizers are no less critical to the success of groups and events than performers. Most of the groups have web sites with contact info. If they don't, contact us and we can put you in touch with the organizers. The Appalachian Heritage Council presents traditional entertainment from the Appalachian Region - including Contra and Square Dances, concerts, and story telling - on the campus of Appalachian State University in Boone, NC. Know of other groups we're missing? Let us know by emailing us.